As many as 9,275 teaching posts in various government schools are to be filled soon through direct recruitment in the state. After much adieu, the government has released a GO, on Wednesday, directing the Heads of Education department and the Secretariat Departments to fill the vacant posts. According to the GO, 5,000 teacher posts in Zilla Parishad and Mandal Praja Parishad Schools, 1,100 teaching posts in Municipal Schools will be filled soon. Teaching positions in Tribal and Social Welfare Schools, BC Welfare Schools and Residential schools constitute about 3,175 of the vacancies that will be filled through this GO. 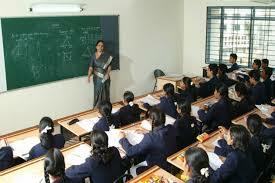 Apart from this, 7,25 lecturer posts would also be filled, of which, 310 belong to Polytechnic colleges in the state. The rest include 205 Degree lecturer posts and 215 Junior lecturer posts. In the Medical and Health department, recruitment for 243 Assistant Professor posts will be done, according to the GO. Civil Assistant Surgeon posts to the tune of 1,171, Special Civil Surgeons, as many as 155 and 35 Dental Surgeons are also to be filled for various government hospitals across the state. The decision has come as a respite to many unemployed professionals in Education and Medical fields. Permission to recruit people for 18,450 posts in various government departments has been given in the same GO, under Group 1, Group 2, Group 3, Police Executive and other departments as well.